At LifeSteps Health & Wellness Clinic, both adrenal fatigue and thyroid disorders are often investigated, as the symptoms can be similar. Dr. Stula, here in Milwaukee Wisconsin, can treat Adrenal Fatigue & Thyroid Disorders. Adrenal Fatigue is a collection of signs and symptoms, known as a "syndrome" that results when the adrenal glands function below the necessary level. This syndrome is commonly associated with intense or prolonged stress, it can also arise during or after acute or chronic infections, especially respiratory infections such as influenza, bronchitis or pneumonia. Your thyroid is one of your body's most important glands and about 13 million Americans are affected by thyroid disorders. When your thyroid doesn't work properly, it can cause you to feel nervous or tired; make your muscles weak; cause weight gain or loss; impair your memory; and affect your menstrual flow; hair loss, cold hands and feet. Patients frequently come to LifeSteps after years of frustration. They struggle with extreme fatigue, insomnia, weight gain, depression and many other symptoms. Typically they have had lab tests and their doctor has told them their tests results are normal and there is nothing wrong. This only adds to their frustration and anxiety as they don't feel well. Time and time again their families start to wonder if their illness is in their head. The lack of support or understanding only adds to their stress. Sadly, week after week we see patients who have spent thousands of dollars trying to find out what is wrong with them. Plus there are also the patients that basically give up exploring the cause and resign themselves to feeling sick and tired all the time. This is no way to live. Dr. Stula, like most medical doctors, may suggest lab tests for patients as appropriate. However, your condition is not always reflected in a lab tests. Equally important are your symptoms. For example, many patients have been on thyroid medication for years yet they continue to express every symptom of an under-active thyroid. By listening to the patient and charting your symptoms along with the lab results, sometimes Dr. Stula merely has to make medication changes or suggest a natural hormone to use along with the medication in order to help you get the results you've hope for. Adrenal fatigue and thyroid disorders do require a commitment from the patient. There is no magic pill. You will be asked to balance your diet, exercise and reduce stress. 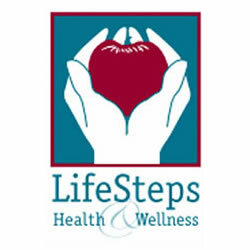 However, if you are sick and tired of being sick and tired, and are willing to do the work you are asked, LifeSteps Health & Wellness Clinic will offer you the care and treatment you need to get well. Glutathione is a protein found inside every cell of the human body with high concentration in the liver. It is the only intracellular antioxidant that works inside the cells. Glutathione levels decrease with age and low levels can cause many serious diseases. Glutathione consists of the 3 amino acids: Glutamic acid, L-cysteine and L-glycine. Glutathione is the most powerful antioxidant it is called the grandfather of all antioxidants. Glutathione is constantly in action protecting the body against disease, toxins, viruses, pollutants, radiation, drugs and oxidative stress. It detoxifies and protects cells from free radicals keeping other antioxidants including vitamin C AND E in their active form. 2. Is known to detoxify the body of heavy metals such as mercury. Glutathione tablets and supplements by oral administration does not raise the glutathione level in our body. The most effective way to increase Glutathione levels is by intravenous injection. A healthy diet and a good lifestyle can help to slow the body’s decline of Glutathione. Supplementing with Glutathione can help to stimulate the body to produce more Glutathione and help decrease the effects of the aging process while increasing longevity. Intravenous Glutathione goes directly to our cells to repair and reverse many of the symptoms. Our clinic offers intravenous Glutathione. All of the above statements are a result of different research and study. They are not approved by the FDA. Glutathione is not to replace any treatment by your Healthcare Professional. We highly recommend everyone to continue care by their Physician.